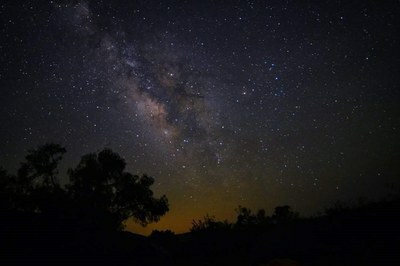 For solitude and some of the best night skies in Tex­as, head west. Devils River State Natural Area – Del Norte, over 30 miles as the crow flies from Del Rio, sits on an amazing escape into nothingness. We are not in the middle of nowhere, but right next door to it! Set up camp at one of our drive-up or hike-in primitive sites and marvel at the amazing night sky views. Devils River State Natural Area - Del Norte Unit Light Pollution Map. The park is at the crosshairs. Check out our clear sky chart prior to a trip to Devils River State Natural Area to ensure conditions are right for stargazing. What is a Clear Sky Chart? It’s an as­tron­o­mer’s forecast of sky conditions, including darkness, cloudiness, trans­par­ency and the “seeing quality.” More information about the Clear Sky Chart can be found here. 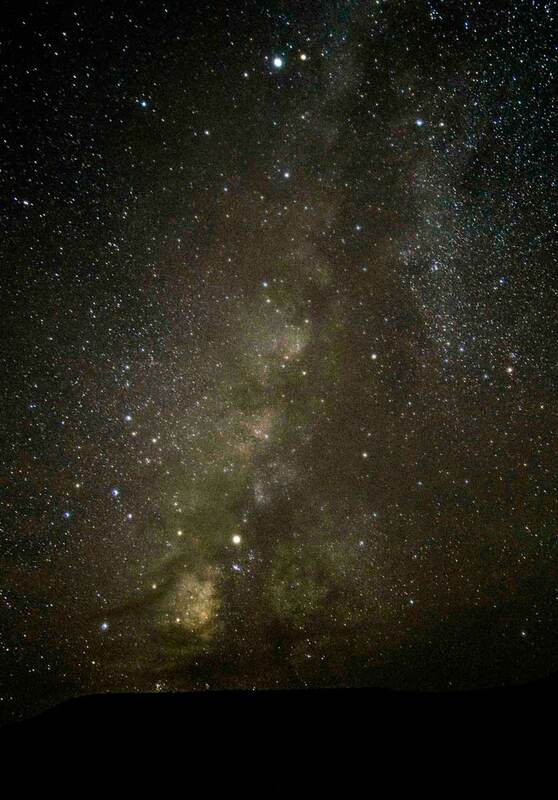 When planning a stargazing trip, keep in mind that the rising and setting of the moon, the Milky Way passing directly overhead, and man-made light cause fluctuations in sky darkness. Keep your camp­sites as dark as safety allows and we’ll keep park lights down low, too! To learn more, look up current moon phase information for Devils River State Natural Area. We love seeing your photos and hearing about your night skies experiences here at Devils River State Natural Area. Please share your pics and stories on our Insta­gram or Facebook page.